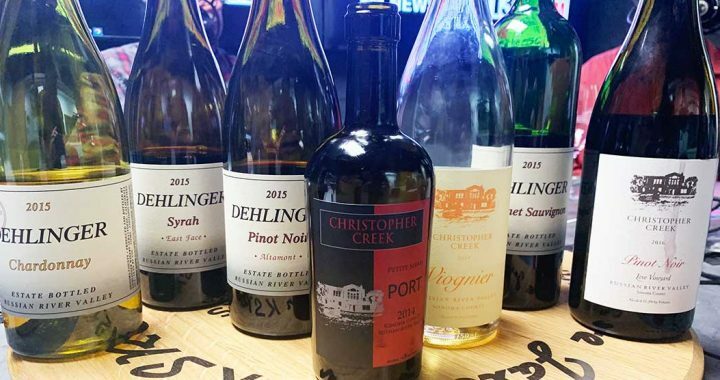 Eva Dehlinger from Dehlinger Winery and Dominic Foppoli of Christopher Creek are our guests on California Wine Country with Steve Jaxon and Dan Berger today. Eva Dehlinger tells how her father founded the winery over 40 years ago. Dehlinger Winery is small, independent family-owned and operated in the Russian River Valley. They specialize in four varietals, Chardonnay, Pinot, Cabernet and Syrah. Eva is the winemaker and general manager. 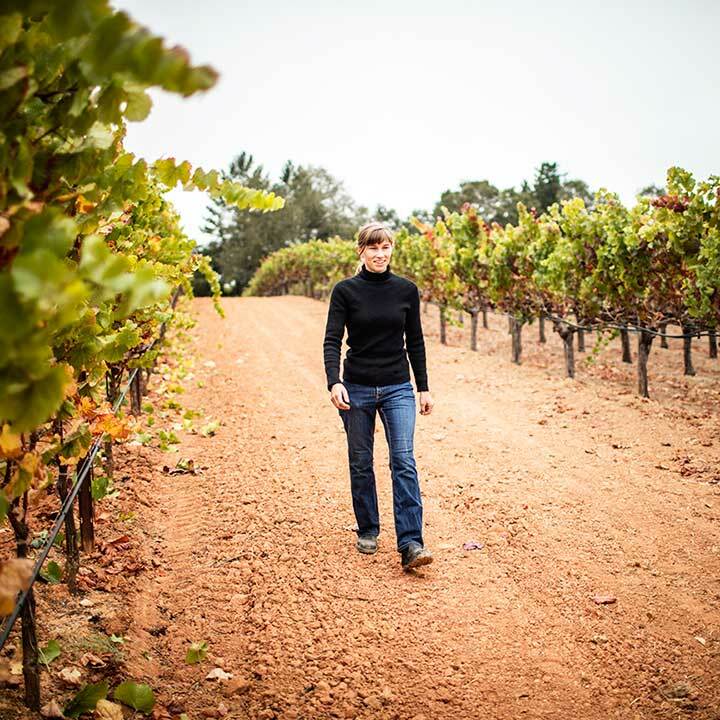 Eva became a winemaker by being born onto a farm and having a strong connection to agriculture. She studied environmental sciences at Stanford. She thought she would become a brewer and started studying brewing at UC Davis, then had an epiphany and realized she needed to work with wine. Dan Berger got to know Dehlinger Winery when it was founded in the 1970s. When Dan started writing about wine, it was hard to find the wine. Dan had to travel to Sonoma County to taste it. Dan says that at the time, nobody had heard of Pinot Noir from Russian River Valley. They were pioneers, it was considered very obscure there. Russian River Valley wasn’t even an official appellation then and Dan says the roads weren’t even marked correctly and he got lost. Dominic tells about the Foppoli home ranch in Windsor. They have produced Chardonnay since he was a kid. Christopher Creek was started in 1972 and he took a chance to buy the winery six years ago. They make about 40 different wines now. They taste a 2014 Russian River Valley Chardonnay, unoaked. Dan says it’s very gentle with a fresh fruit component. Dan says that the newer drinkers like a Chardonnay that is more delicate and not so oaky. The 70s or 80s style wines were fleshier. Today better quality wine making means a more delicate approach to oak. Dominic says his first wine was unoaked because he couldn’t afford oak barrels. Barry says this has a silky texture and harmonious flavors. Dan says it’s soft but not lacking in acidity. Eva says it’s very fruity and fresh and would have a broad appeal. Dan says this is an example of the new style of wine in Sonoma County. He thinks the mid-palette richness comes from the skin contact. That’s when you leave the juice in the tank, were the juice is in contact with the skins. The next wine coming up is an Orange Wine, which is made with even more skin contact. Dominic says that traditionally they make a barrel of orange Chardonnay and one of orange Viognier every year. You leave a white wine on the skins, like a red wine. Eva’s white wines are made with minimal skin contact and they do not make orange wine. The goal is to extract more different flavors and she thinks Viognier is good for that. Dan says the skin contact white wines tend to want to spoil so a winemaker has to be very strict with sanitation. Dan tells of a wine from the Jura region in France, which have a very strong odor. This one is cleaner and fresher. It has just enough of the “orange” style to still taste the Viognier. Dominic says they only make 25 cases of it. Eva says orange wine is atypical and controversial in the US. Next they taste a 2015 Dehlinger Winery Chardonnay, which is a counterpoint to the one they just tasted. This is a traditional oaked Chardonnay, no skin contact, barrel fermented and aged for a year on the lees. Dan says this is the way that oak should be done. Eva says it is unfiltered so it retains a lot of textures and flavors. Dominic remembers drinking Eva’s father’s wines when he was a kid. Their family estates are about two miles from each other as the crow flies. Next they taste the 2015 Dehlinger Winery Altamont Pinot Noir. Altamont refers to the soil type on their property. 2015 was a very classic vintage in the region, but with low quantities. Particularly the Pinot Noirs, have very intense flavors and color. Next they taste the 2015 Dehlinger Winery East Face Syrah. In really good years, they make a Syrah called East Face and this is one of their rare bottlings. The hill slope faces the east. They made about 165 cases of this wine. It is one of her favorite recent vintages. Dan tells how sales of wine in the last 4 or 5 years, are dropping. As the market changed, they can concentrate on quality. Eva notes that 2015 was also at the culmination of the drought, in ‘13, ‘14 and ‘15 was the last, until we got a little bit of rain in 2016. Bud Break happened in February, they picked in August 2 weeks earlier than a usual harvest. Steve notes that this year, harvest is “in the pocket” in the normal time frames. They taste a 2015 Dehlinger Cabernet Sauvignon from Russian River Valley. Dan says these wines have typical Cabernet character. Dan says it has a little bit of a black olive component, black tea, and the other parts are classic, dried herbs, a bit of thyme, the sage component may come in a couple more years. Eva loves to pour their Cabernet because people aren’t used to getting Cab from the Russian River Valley. It’s quite delightful with complexity and character. Dan says it’s not lush, but invites pairing with food. Steve suggests lamb chops. Barry says it’s subtle, not cloying, and balanced. Dan likes that the family makes it the same way and they haven’t make changes to it. Finally they taste a Port from Christopher Creek, which is 19.4% alcohol.